The Simple Healthy Meal Planning Kit is everything you need to create healthy delicious meals on your schedule. No more last minute, frantic microwaved meals. Now you can get good food on the table without the stress and chaos of dinnertime madness breathing down your neck. You got this, and our Kit is here to save the day! Isn’t it funny, how we can go about our days without too much stress or chaos, then 5 o’clock hits and…BOOM! The kids are whining, your hubby is almost home, you are tired beyond belief and you need to get something ANYTHING on the table and fast. You have no ideas, no time, no patience. But this is nothing new. Folks all over the world are going through the same thing just about every single day. I am happy to tell you it doesn’t have to be this way. 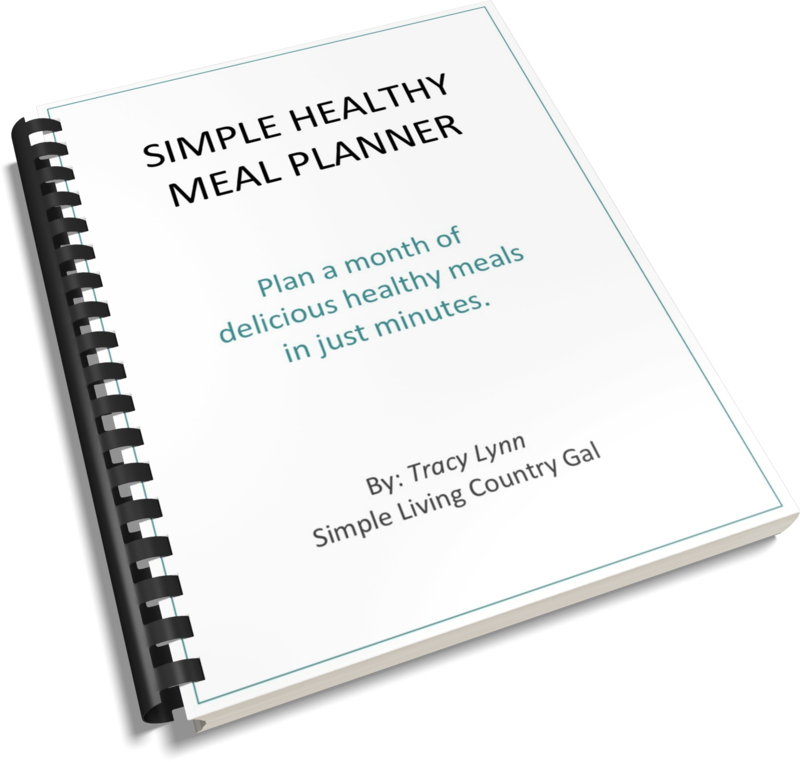 I have a plan a full super simple healthy meal game plan that will take you from stress and stumped to organized and prepared. Sound just too good to be true? Well, it isn’t! I am all about simple and easy. If it’s complicated I know it just won’t be a constant in a busy life. Keep it simple. Keep it easy. And win. That is what the Simple Healthy Meal Planner is all about. A way to plan out meals each week that you can make without hassle and better yet, your family will love. Just follow the steps laid out for you and use the printables that are specifically designed to keep things easy. As a BONUS, you will get my Top Grocery Hacks and Grocery Saving Tips for free. Now you can make great meals on a budget….winner! !